This single (and quite colorfully blossoming) tree grows 40 different varieties of peaches, plums, apricots, nectarines, cherries, and even almonds — but just how does it do it? It does it through the process of chip grafting. 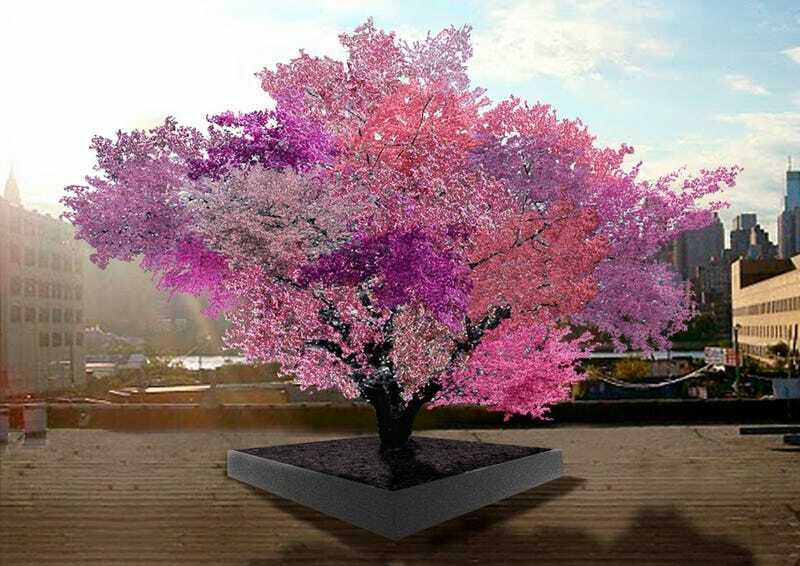 After sculptor Sam Van Aken bought a failing orchard in upstate New York full of hundreds of different fruit trees, he began the painstaking process of grafting several of the different varieties together into one tree. Six years later, the result is this 40-fruit bearing tree, which includes some heirloom varieties that are centuries old.